Be Kind << Rewind is a new section on MovieMuse dedicated to reviewing older films that I haven’t previously seen. First up is Sly Stallone and an all-star ensemble in the police drama Cop Land. Being a huge fan of Stallone (am I the only person that likes Stop, Or my Mom Will Shoot? ), there aren’t many of his films that I haven’t yet seen. Whilst I have always been aware of Cop Land, it has never managed to make its way on to my must watch list. That is until a lazy Sunday afternoon flicking through Netflix…. Every cop in New York in the 1970s wanted to leave the city, but the only cops allowed to live outside the city were Transit cops as they were governed by the Transit Authority that also covered Jersey and Connecticut. To get around the ruling many of 3-7 precinct of the NYPD took to doing overtime in the subways to be classified as auxiliary transit cops. Then they bought some cheap land in Jersey and built home there, creating their own small cop land. It is a really interesting premise that there is a small town almost completely inhabited by cops. Crime is very low and life is good. However, when the town was built using mob money, there will always be consequences and some of the cops will start to feel like Mayor, Judge and Executioner. Sylvestor Stallone plays Freddy Heflin, the jaded Sheriff of Garrison, New Jersey. After years of trying to join the NYPD and being rejected due to a hearing problem from his childhood, he lives a quiet and depressing life of solving fly-tipping disputes and cats stuck up trees, whilst pining for the girl of his dreams who shunned him for an NYPD hot head. His life and his job are thrown upside down when a hot-shot cop nicknamed Super Boy kills a couple of black joyriders and gets hidden at his uncle’s house in Garrison. Harvey Keitel plays a typically power-crazy dirty cop, whilst Robert De Niro is an Internal Affairs lieutenant and Ray Liotta is a cop with a history, but a good heart. All three deliver great performances but Stallone stands out in a very understated role as a loser in life, rather than the usual plucky underdog or testosterone fuelled action hero. 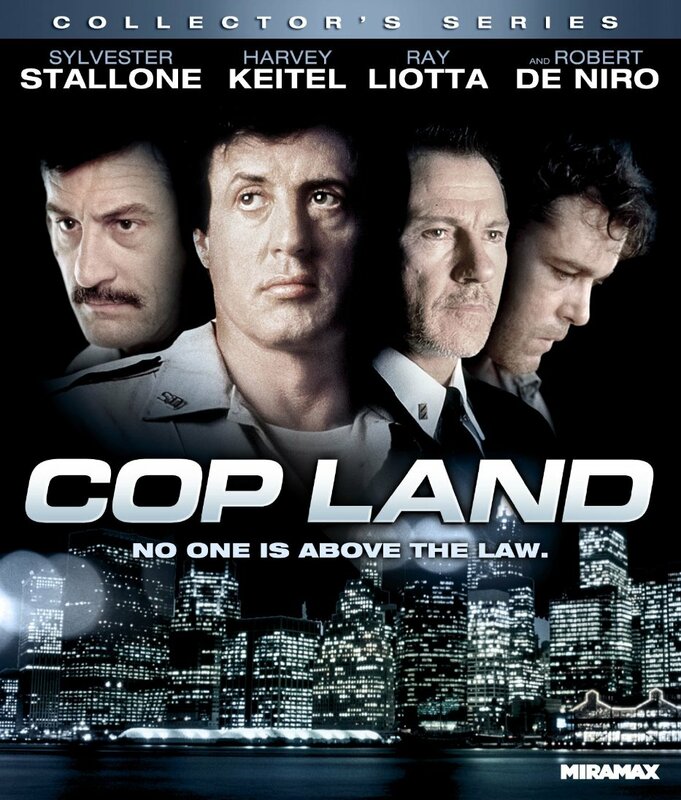 Cop Land doesn’t overplay the drama or the action, which is a very welcome change from the usual Stallone fare (or Keitel/De Niro/Liotta fare for that matter) and it is definitely recommended for anyone who hasn’t yet seen the film. However I wouldn’t expect it to be particularly high on many repeat watching lists. There are few twists, but the film is paced well and delivers just enough on the action front to satisfy fans of the main actors, whilst being different enough from the over abundance of cop/mob movies of the nineties.